For a long time I have followed Chalk the Sun, the wonderful blog by the writer Julie Christine Johnson. So when I learned she had a debut novel coming out, I knew I had to read it. I wasn’t sure what to expect. 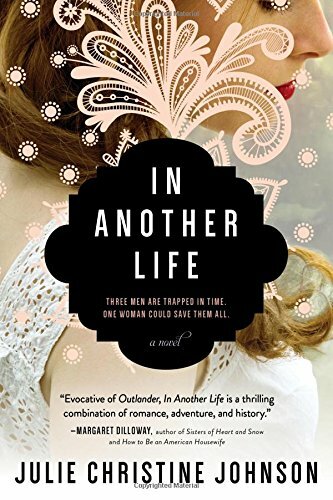 From its pre-publication description, In Another Life seemed to be an amalgam of genres: mystery, romance and historical fiction. I knew from following Johnson online that she is a beautiful, soulful writer, and I was eager to see how her talent and sensibility translated into book-length fiction. I wasn’t disappointed. Still devastated by the sudden death of her husband in a mysterious accident 18 months ago, Lia Carrer leaves the U.S. and returns to the Languedoc region of southwestern France. As much as anywhere in her untethered life, this rural area with its medieval ruins is home to Lia. Her family has roots in the region, and she has close friends there. What’s more, she is on her way to completing a PhD in history focused on the ancient religious group called the Cathars, who flourished in the region until they were massacred into extinction by the Catholic Church in the early 13th century. Lia’s scholarly research examines the Cathars’ intriguing belief in reincarnation, and the unknown truth behind the murder of a cleric in the year 1208 that proved to be a pivot point in the downfall of the Cathars and ascendance of the Catholic Church during its most bloodthirsty era. Lia is thrilled when an old friend, a priest who comforted her after her husband’s death, tells her that a priceless archive of original materials about the Cathars has, somewhat mysteriously, become available. Still, her life in the village isn’t all solitude and study. She meets a photographer and embarks on a project with him, a coffee table book about the region. Their relationship is mostly business, but with confusing glints of desire. Or is it menace? Then at a party she meets a wine maker, a man with whom she had recently shared a terrifying experience in what must have been a dream or hallucination. She finds herself falling in love with him, the first time such feelings have stirred since her husband’s death. But Lia’s notions of what is real and what could not possibly be true begin to crumble as she realizes that these three men – the priest, the photographer and the wine maker – are in her life for a reason. And that reason shatters everything she thinks she knows about history, time, and death itself, including the death of her husband. The first thing that must be said about In Another Life is that the writing is gorgeous. The descriptions are so lush and lovely that you can see, feel and inhale the aromas of the place, from the “dark and brooding” wines of today to the charred church timbers of the 13th century. And all this beauty is built on an edifice of rigorous erudition. I knew little (OK, nothing) about the Cathars or the Languedoc region. I now have a much deeper sense of the area’s importance, and the dark and momentous events that took place there and shaped present-day Europe. In the Author’s Note at the end of the novel, Johnson said that as part of her research into the region she “drank its wine and whispered its language,” a description I love. If you read In Another Life and want more, there’s good news. 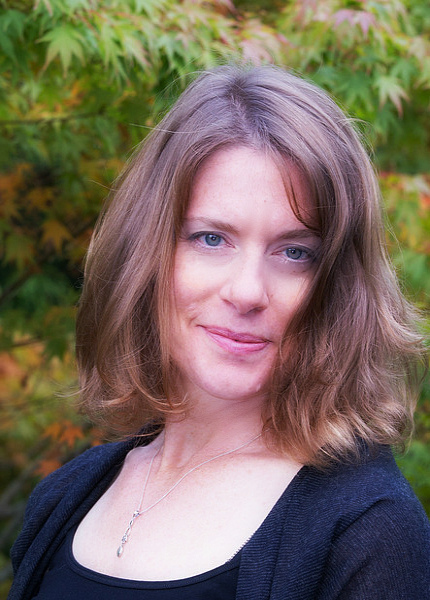 Julie Christine Johnson has two more novels coming out in the next couple of years. No doubt many people will be eagerly awaiting her next book: her publisher had to reprint In Another Life only three days after it was published. Julie Christine Johnson. Photo by Al Bergstein.